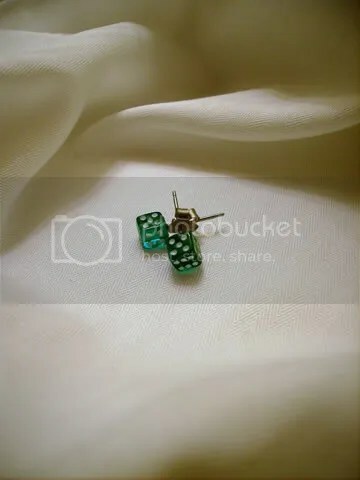 This particular pair of earrings are from a collection I have up for sale and is also part of my new Candy ear stud collection. 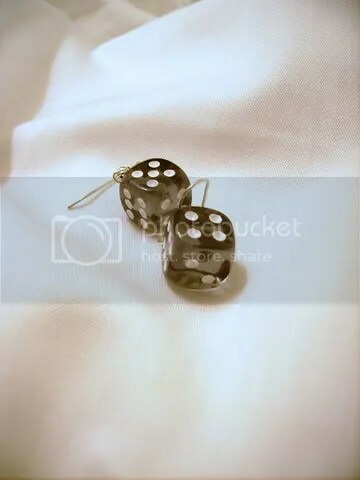 These were made from a pair of tiny 5mm transparent red six-sided dice with white pips. 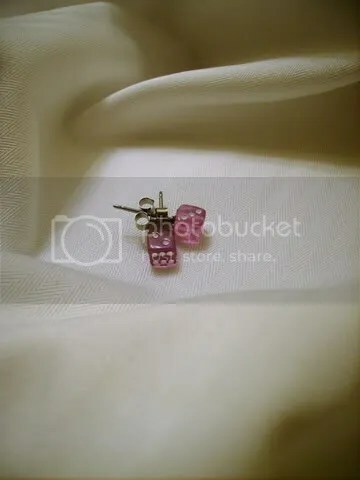 This particular pair of earrings are from a collection I have up for sale and is also part of my new Candy ear stud collection. 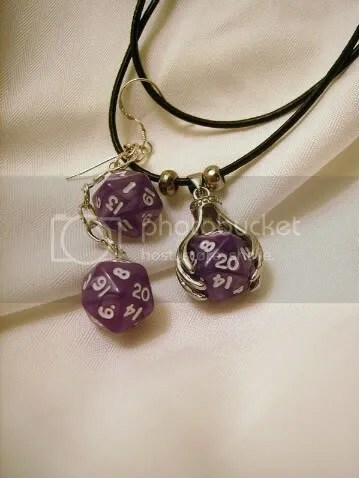 These were made from a pair of tiny 5mm transparent purple six-sided dice with white pips. 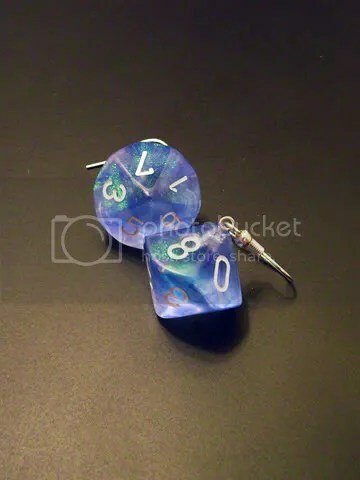 This pair of earrings is from a collection I have up for sale and was made from a pair of standard-sized shimmering Sky Blue Borealis ten-sided dice with white numbers. Light reflects off the iridescent flecks within the dice, and beautiful colours not normally seen in dice or even glitter dice can be seen. Absolutely beautiful. So beautiful in fact, that I actually have a pair for myself. 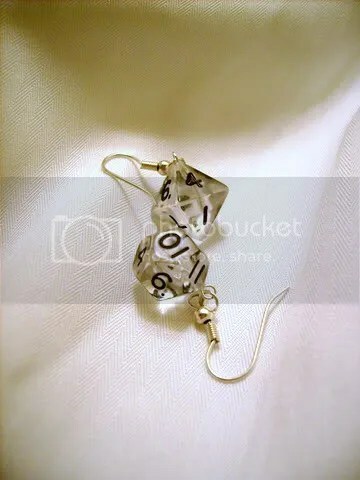 This pair of earrings are from a collection I have up for sale and were made from a pair of crystal clear Transparent Smoke 12mm six-sided dice. The clear colour of the dice sparkle almost like real crystal when caught in the light. Know the song Smoke on The Water? That’s what these remind me of. 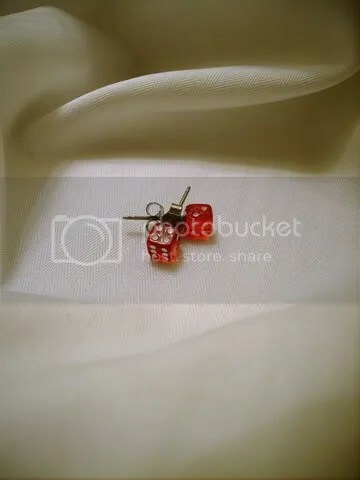 You are currently browsing the archives for the Earrings category.